If modern day technology had a home, it would likely be Shenzhen. There aren’t many big cities in the world where you can walk down the main street in the city centre and find almost every ad pointing towards some form of technology. Strolling through the city, it becomes apparent that Shenzhen’s beating heart is digital. It’s no secret that China is an electronic manufacturing powerhouse, and nowhere in China is that more apparent than Shenzhen. If you’re in the vast technology industry, the chances are, you’ll need to prepare for a trip to Shenzhen soon enough. 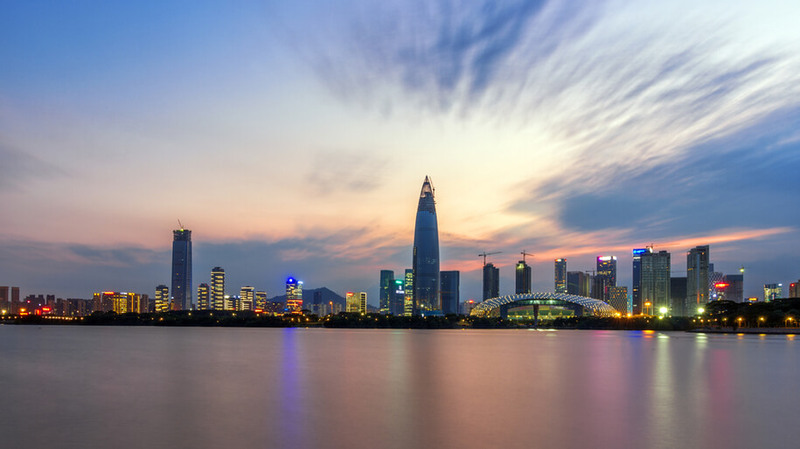 Our business traveller’s Shenzhen city guide will help you make the most of the opportunities waiting around almost every corner in the world’s fastest growing city. For decades, Shenzhen was little more than a fishing village whose economy was almost entirely dependant on the coastline bordering the town. During the 1970’s however, China as a whole was gripped by a desire to be involved in the growing global economy. It was decided that one of the easiest and most lucrative ways of getting involved would be to throw their doors open to Western business within designated ‘Special Economic Zones’ (SEZ) across the country. The zones would allow China to test Western approaches to business within controlled regions. Shenzhen became the first SEZ in China, and the results have been remarkable. Located a mere 40 km’s from the ever popular Hong Kong, Shenzhen quickly started drawing Western tech companies in their droves. Offering a growing and cheap local workforce, major players in the tech industry began moving their headquarters to Shenzhen. Shenzhen’s population exploded. A staggering 14 million people now call the city home, making it one of the richest cities in the world with the highest per-capita income in China. If you’re heading to Shenzhen to visit a factory manufacturing your electronic or fashion products, staying in the outer suburbs of Shenzhen is a good idea. As with any major city in China, or anywhere else in the world, large scale factories are located on the outskirts of the city where space is more freely available. If your interests are centred purely around electronics or tech companies, then the city centre is where you’ll want to be. 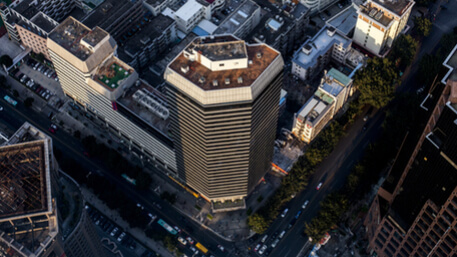 Huaqiang Bei is the city centre’s business hub, with some likening it to the tech industry’s ‘wall street’. One of the better hotels in the city centre is the Huaqiang Plaza Hotel. The staff are accustomed to western travellers visiting on business and are well equipped to any requests you might have during your stay. There is also the added bonus of a Starbucks and fast food chain at the ground floor of the building, offering familiarity for visitors not accustomed to the local food on offer. There is also the added bonus of a remarkable view at the top of the hotel. 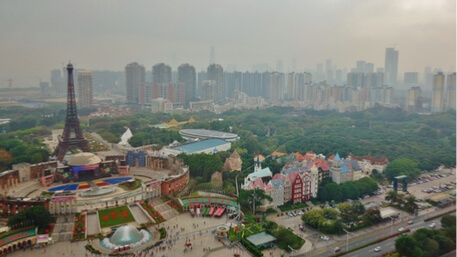 For those who visit Shenzhen regularly, the views from the hotel rooftop will illustrate just how quickly the city itself is growing. The hotel’s fully equipped business centre, with conference rooms, workstations and secretarial services on offer are a big draw for frequent business travellers, plus the views of Hong Kong and the Shenzhen river are amazing. Everything you would expect from a five-star hotel. Luxury and convenience on offer when you need it, but the hotel’s vicinity to the city’s business districts makes it a popular stay for businessmen and women. A landmark in Shenzhen, that is only 5 minutes walk from the railway and bus terminals that’ll take you to Hong Kong for the day. The Shangri La is often considered the best hotel Shenzhen has to offer. 6 km’s away from the Shenzhen CBD, in the popular Futian district means that the Wyndham is full for most of the year with business traveller seeking a luxury stay near their office. Shenzhen CBD can be chaotic at times but the Futian Shangri-La offers tranquillity amongst the chaos, in addition to its proximity to the business district there aren’t many places better to stay when in the city centre. If all else fails, however, Shenzhen has a growing network of Airbnb accommodation available at the swipe of your smartphone screen. 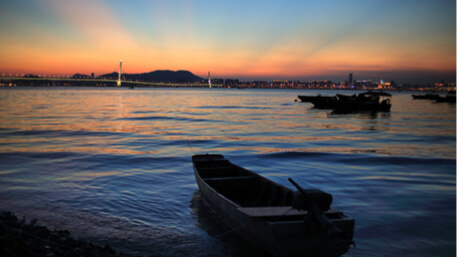 With business in mind, most visitors choose to stay within the confines of the city district, close to their office or client meeting points but that’s not to say Shenzhen has nothing to offer outside of the city. Window of the World, for example, is popular all year round. The theme park offers nearly 130 replicas of worldwide landmarks. In a whistle-stop tour, visitors can see the Statue of Liberty and Sydney Harbor Bridge before lunch, then take a leisurely stroll to Mount Fuji before stopping in to throw a coin in the Trevi Fountain and admire the architecture of Gaudi’s Parque Guell. As in Paris, the Eiffel Tower dominates the skyline, and nearby, the Palace of Versailles and the Pyramids jostle for attention. The Manhattan skyline – where certain events of 2001 apparently never happened – is a stone’s throw from Mount Rushmore. Amazingly, Window of the World isn’t the only ‘theme park’ in Shenzhen. The OCT, or Overseas Chinese Town is a cluster of areas on the outskirts of Shenzhen that will keep visitors busy for days. 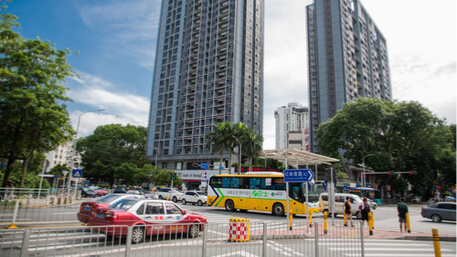 With Shenzhen’s primary bus stations and train stations, plus the harbour within the OCT zone, it’s easily accessible whether you’re coming from Hong Kong or the city centre to enjoy a meal or take in some of Shenzhen’s sights and sounds. With Shenzhen welcoming so many expats so quickly, it’s not hard for western travellers to find an environment they’re comfortable staying in or visiting in Shenzhen. A private airport transfer is the safest, quickest way to get from Shenzhen airport to your hotel. China Car Service is a trusted transportation service helping foreign business travelers for almost two decades. We provide door-to-door service at competitive prices. Regardless of whether you’re in the tech industry or not, if you’re travelling on business you’ll likely be as dependant on internet connections as you are on the oxygen you’re breathing in every odd second. Before hopping on the plane and making your way to any Chinese city, you should be aware of the internet censorship present throughout China. Emails, websites, maps, Skype, Whatsapp or any other apps you may rely on to stay connected with your company and family back home aren’t likely to work in China unless you’re able to set up a VPN. To keep information one swipe away on your smartphone, you should download a VPN providing app like ExpressVPN, which should keep you connected throughout your visit to Shenzhen. 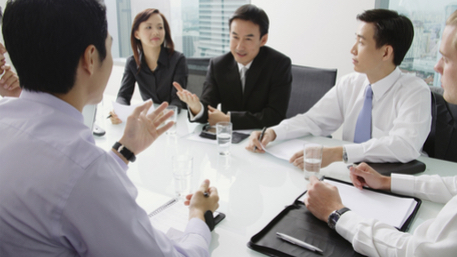 If you’re visiting Shenzhen to meet with vendors and possible future partners for the first time, they’ll generally assume you don’t’ speak any Mandarin or Cantonese so how they react to you often depends on largely their confidence and ability to speak English. Luckily, Google translate has an offline version available, which you can download before entering China, that can help get your message across and avoid unnecessary confusion. Without it, you might have to get creative when getting your message across in a meeting. Nope, we’re not kidding. Many of Shenzhen’s business travellers are in the city meeting with vendors who’ll be supplying their next range of electronic goods. It’s not uncommon for your vendor to keep a calculator on the table, often illustrating to use it when communicating order numbers and prices. Nearly every Chinese vendor or manufacturer carries a business card with them. Referred to as “name cards” in Shenzhen, you’re likely to be asked for one in return if your vendor provides you with his. Before heading to Shenzhen, it’s worth downloading and signing up for WeChat, whose headquarters are in Shenzhen. WeChat is a basic utility throughout China and used for everything from daily chats to payment and document transfers. Swapping your WeChat details is a great way to follow up and keep in touch with your vendors. Grabbed yourself a coffee on the way to your meeting, and looking for a bin to throw it in? Don’t bother because there are hardly any bins in the city centre! Remarkable as that may be, the city actually hires people to collect rubbish on the streets. 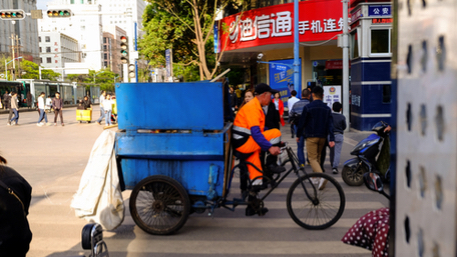 Recycling is a big initiative and economy in itself in Shenzhen, the trash left behind by people on their morning walk to the office is cleaned up remarkably quickly. Perhaps the biggest quirk a western visitor will have to get their head around. In social and business environments it’s considered acceptable to spit into a container without anyone batting an eyelid. That’s not to say your vendor or client will be doing so within a high profile meeting you’ve travelled halfway around the world to attend, but it is something you’ll be exposed to during your stay. At lunchtime, it looks like the zombie apocalypse struck down half the population while you weren’t paying attention. Workers find a convenient place and casually lie down on the ground for a rest, even on the footpath. Walk down a side street at lunchtime and you’ll see bodies everywhere! Don’t worry, they all come back to life as soon as lunch break is over. A walk between meetings through the city will often see you encounter women standing near busy intersections yelling out “byow byow byow” to nobody in particular, and everyone ignoring them. There is a sensible explanation to their efforts, however. They are offering a service to provide tax paperwork in exchange for purchase credits. Another little bit of local colour that makes Shenzhen such an interesting place. 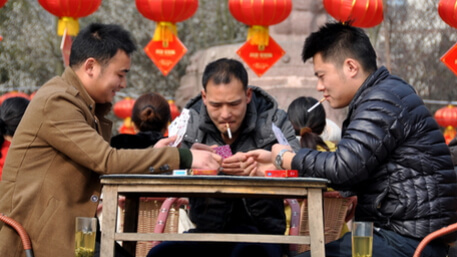 In China, it’s still quite common for people to smoke in public, in shops, in hotel rooms, even in restaurants. 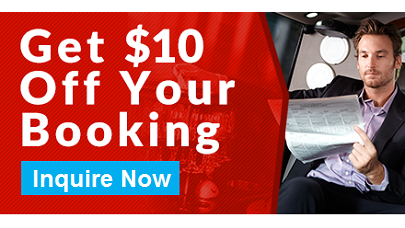 Unless you’ve managed to get a specifically non-smoking hotel room, it’s quite likely that your room will still carry the aroma of previous guests’ smoking habits. There is none. If you want to get through a crowded space, don’t wait for people to subtly move aside and let you through, because you’ll be waiting all day. It’s custom to just move in the direction you want to go and keep moving, slipping past each other on the way. The Shenzhen Metro is one of the easiest ways to get around if you choose to make your own way about The train terminals and stations are announced in both English and Mandarin, meaning you’ll be able to get around without too much confusion. The tickets are cheap too, depending on how far you’re travelling, tickets will cost you between 2 Yuan to 11 Yuan. The only obvious downside to using the metro is that you will be doing so in one of the world’s busiest and most populated cities. If you need to get to a meeting during peak times, brace yourself for queues and crowds. Shenzhen has a remarkable 10,000 buses making their way through the city every day. Considering the majority of the city is still relatively young, the bus network is relatively good. Far better than other major cities like Beijing or Shanghai. The difficulty with using the bus, however, is that they are horribly crowded for most hours during the day. It’s the cheapest way to get around for locals, and it shows. Whilst the actual bus stops are announced in English, the time tables showing departure times, bus numbers and lines aren’t. The last thing you’ll want to do is miss a meeting you’ve travelled so far for because you hopped on the wrong bus. Taxis in Shenzhen are well regulated, the official ones at least. There are a number of ‘fake’ or unlicensed taxis operating in Shenzhen often looking to take advantage of newly arrived visitors. The fake cabs are normally prevalent at tourist hotspots like border crossings or major hotels and restaurants. The licensed taxis are fairly nerve wracking to ride in as is. Shenzhen is not immune to the chaotic roads and driving culture that plagues all of China’s major cities, first-time passengers are often amazed how cars and scooters don’t collide regularly (they do) on their journey’s. Shenzhen does have a brilliant bicycle initiative active throughout the city where riders can rent a bike for however long they need. The access stations are conveniently positioned by metro stations, shopping malls and city attractions. Shenzhen is one of China’s most attractive cities. Covered in local parks, with beautiful scenery surrounding everywhere you look, it’s no wonder that Shenzhen has quickly established itself as a global powerhouse. If you’re planning a trip to Shenzhen, take advantage of our online discount (click the image below) and book your private car and driver now! Make your journey stress-free and contact our 24/7 team at Bookings@ChinaCarService.com.